Kristine and Matt’s wedding last year is not only featured in Real Weddings Magazine but one of the images also made the front cover! They will be distributed province wide today and I cannot wait to see them in stores. I received this email yesterday from Kim Mah, Editor of Real Weddings. Whaaat? .. I couldn’t believe it .. I nearly fell of my chair. Honestly. For those that know me, I’ve only been in Canada for a short few years and to have something like this happen for me, is quite honestly, HUGE. I never expected it, getting into the magazine was huge enough but this is another level. Passing the magazine at my local book stores, grocery stores, the airport, etc .. wow, thats gonna be crayzeeeee. The online version is available right now, but I’m waiting to see it in print later today! Congrats man, that’s awesome! 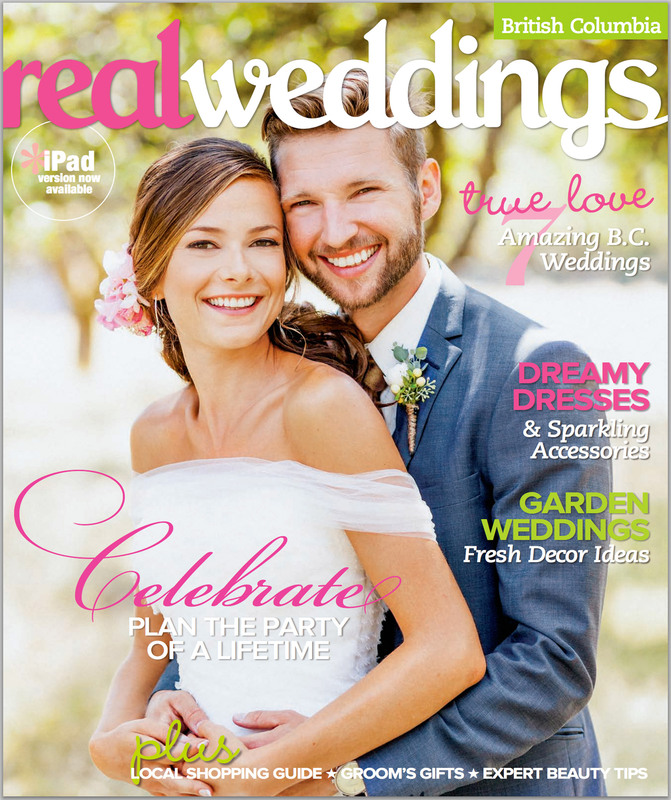 So great to see your work on the front cover of Real Weddings! Brap brap. Well done bro! Absolutely wonderful and well deserved! Yeahhh! Whooop, there it is! Nice one mate – I bet that image will sell the magazine out on day 1! Gorgeous image! Not surprised by the cover feature at all. Congratulations! Congratulations to an amazing photographer and a beautiful couple! Great job, Sachin! Beautiful couple. Congrats on the feature! DUDE. So awesome! Beautiful. Congrats. man sachin, i am so proud of you! well-deserved and more! such a great image for a cover! well done. looking for my first one also.